1) Matt Willows’ 32 goals were sixth in the league and marked the sixth time a Reading player has reached the 30-goal plateau. 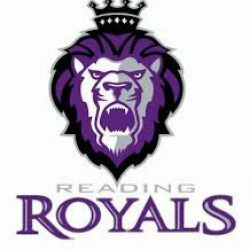 He tied Reading’s record with goals in eight straight games from Jan. 30-Feb. 22, tying Joe Zappala’s team record for the most consecutive games with a goal. Willows and Nolan Zajac each played in all 72 regular season games. 2) John Muse tied for the league lead with a .931 save percentage. During the Kelly Cup Playoffs, Muse made at least 52 saves in the first three games. His career-high 54-save performance in Game 1 vs. Manchester established Reading’s record for the most saves in a Royals playoff game. He became the first Reading netminder with three straight 50+-save games. No Royals goaltender had consecutive games with at least 50 saves before Muse. 3) Chris McCarthy set a new personal high with 22 goals and 59 points during the regular season. He, Willows, Matt Wilkins (20g) and Michael Huntebrinker reached the 20-goal mark. Huntebrinker was awarded with a spot in the 2018 CCM ECHL All-Star Classic in Indianapolis. 4) In his first full season in North America, Adam Schmidt found his scoring groove late in the season, accruing at least a point in 12 of the final 14 games. He tallied Reading’s lone short-handed marker in the playoffs and topped the squad with three short-handed strikes during the regular season. 5) Nolan Zajac (16g) had a second half scoring rush that moved him into the top-three of goals by a defenseman. For the season, the second-year professional from Winnipeg, MB completed the regular season third among blue liners with 16 goals and sixth at 45 points. 6) Michael Huntebrinker, Ryan Penny and Mark Naclerio scored the Royals’ hat tricks during the regular season. Penny’s came Oct. 29 when the Royals scored nine goals, the second-most the team has registered in a game. Huntebrinker’s jolted the Royals to a 5-3 victory over Adirondack Dec. 30. Huntebrinker completed the trick with an empty-net strike in the final minute to defeat the Thunder. 7) Defenseman Nick Luukko is one of four Royals players to play at least 200 games for the team. He helped lead Reading to the sixth-best scoring defense in the ECHL (2.76 GA/gm). Often playing against opponent’s top lines, he also chipped in five goals and 21 points. 8) Mark Dekanich’s best came in a 50-save shutout vs. Wheeling Dec. 15. The effort tied a career high in saves. Dekanich shut out the Nailers, Norfolk and Worcester during the regular season. The 32-year-old native of North Vancouver, BC completed his 10th professional season. Branden Komm started his Royals career with consecutive shutouts, capping a perfect first weekend with 25 saves vs. Wheeling Feb. 18. 9) Reading, PA native Steven Swavely split the season with Lehigh Valley and the Royals. With Reading, he potted 13 goals and 29 points in 38 games. Feb. 22 vs. Worcester, Swavely notched his first career multi-goal effort. Over the last two seasons with the Royals, Swavely is just under a point per game (68 pts., 78 GP). At the end of the Royals’ postseason, Swavely was recalled to Lehigh Valley for the Calder Cup Playoffs. Another to make a strong impact in Lehigh Valley, Alex Krushelnyski, dominated ECHL opponents with 13 goals, 27 points and a plus-17 rating in 24 games. 10) Matt Wilkins doubled his goal production to 20 in his second professional campaign. From Jan. 14 to the end of the regular season, Wilkins smacked in 16 goals and 35 points. He finished third on the team with 47 points and played alongside Chris McCarthy and Matt Willows for the majority of the season’s second half. 11) Two of Reading’s most reliable defensemen during the season were rookies, Frank Hora and James de Haas. Hora contributed a team-best plus-23 rating during the regular season. The team’s youngest player (21) and a rookie, Hora skated in 62 games for the Royals and eight for Lehigh Valley. On Nov. 11, Hora and de Haas each registered plus-five ratings in a 5-1 win over Jacksonville. de Haas impacted the Royals with five goals and 18 points in 23 games. With Lehigh Valley, the Missassauga, ON native marked in a goal and 11 points. 12) Defensemen Matias Cleland and Nick Neville, also rookies, emerged as potent contributors when acquired midseason. Cleland was reassigned to the Royals by the Toronto Marlies in Dec. and he skated in 42 straight games. In similar fashion, Reading picked up Neville in December and he skated in 36 contests. 13) Chase Golightly soundly strung together a professional-high 12 points from the Royals blue line while appearing in 55 games. He scored his first goal of the season in his first game, Oct. 29 vs. Adirondack. The Royals acquired Golightly at the trading deadline in 2016-17. 14) Veterans Derek Whitmore, Scott Tanski and Tyler Brown provided leadership for the Royals and also provided key spurts of offense. Whitmore, the Royals Captain, tagged in eight goals over 33 games and stepped behind the bench as an assistant coach when an injury derailed his season. Tanski and Brown scored both of Reading’s goals Feb. 24 as the team picked up a point at Adirondack. Brown was awarded the role of alternate captain Nov. 15 prior to the Royals win over Manchester. In his first game wearing an “A”, Brown scored. He recorded five goals in the regular season, his most in three seasons. 15) The Royals acquired Mark Bennett in January from Brampton and he skated in 27 games during the second half of the season. He notched a pair of three-game point streaks and combined to hit five goals and 19 points between his three ECHL teams this season. Bennett enters his fourth professional season in 2018-19. 16) Brian Morgan often made his presence felt at Santander Arena, scoring eight of his nine goals in front of the home crowd. The Royals signed Morgan in December and he skated in 42 games for the Royals. 17) Near the end of the regular season, Royals Head Coach Kirk MacDonald brought in forwards Viktor Liljegren and Jack Riley from NCAA hockey. Riley scored his first two professional goals in the last two days of the regular season. Liljegren scored in his first Royals game, the third time in his career he’s scored in his first game with a team (NAHL – Fairbanks, NCAA – RPI).